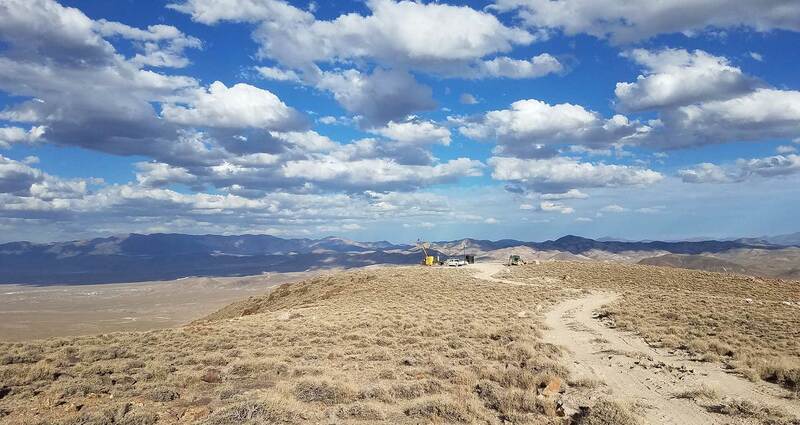 Patriot Gold Corp. (PGOL:OTC) or ("Patriot Gold"), a developing gold and silver exploration and production company, today announced a new high-grade gold intercept at the Penelas East discovery area at the Bruner Gold project located in Nye County, Nevada. Drill hole B-1316 cut 1.5 meters grading 37.9 gpt Au (5 feet of 1.25 opt Au) from 340-345 feet, within a wider zone averaging 4.27 gpt over 21.3 meters (0.125 opt over 70 feet) between 295-365 feet. Based upon a detailed three dimensional analysis of the two previous high-grade intercepts in B-1201 and B-1301, the high-grade intercept was projected at 350 feet. True widths of the two intercepts are believed to be 4.5 feet and 60 feet, respectively. "We are very pleased to see drill holes continue to intersect high-grade gold in the Penelas East discovery area. We remain optimistic on the potential of this target area based on the high grade structure both north and south of the current holes being drilled," said Bob Coale, CEO of Patriot Gold. "As additional high-grade intercepts continue to be tested, core drilling is due to commence in September to provide a closer look at the structure hosting the high-grade gold. Combined with the continued progress we are seeing with Patriot Gold's Moss project in Arizona, we continue to gain confidence in our ability to deliver enhanced value to our shareholders." In June, a new drill pad was constructed at section 540mN at the Penelas East high-grade discovery area, located roughly 90 meters north of the previously reported initial discovery hole in B-1201 and 140 meters north of the follow on high-grade gold intersected in hole B-1301. In addition to drill hole B-1316, testing for additional high-grade intercepts continues for drill holes B-1317 and B-1318. Most notably, drill hole B-1317 (completed with results pending), drilled to intersect the high-grade structure 100 feet up-dip from B-1316, intersected a gray quartz interval with black sub-metallic minerals similar in appearance to the intercept in B-1316. Drill hole B-1318 (completed with results pending), drilled to intersect the high-grade structure 100 feet north of the intercept in B-1316 also cut a similar appearing interval of gray quartz with sub-metallic black minerals. Drilling is now being done on hole B-1319 designed to intersect the high-grade structure 100 feet above the intercept cut in B-1318. Drill hole B-1315, drilled to intersect the high-grade structure below the intercept in B-1316, cut light gray quartz, but without black sub-metallic minerals and with only low-grade gold adjacent to it. Drilling of holes B-1308 through B-1314 completed on the northern extension to the historic resource area intersected numerous intervals tens of feet to over 100 feet thick grading 0.01x opt Au, but did not intersect any higher grade material that justified continued drilling in this target area at this time. As a result, the drill rig returned to the Penelas East high-grade target area and will continue to drill the high-grade structures on the east side of the property through the remainder of the year. Patriot Gold�s Option To Optionee/Operator Patriot Gold owns 100% undivided rights, title and interest in the project which is subject to certain royalties and an earn-in option agreement for 70% interest. The earn-in optionee/operator has the right to earn 70% interest in the Bruner project by spending $6 million over seven years and may earn an additional 5% by completing a bankable feasibility study for a total of 75% interest in the project. Subsequent to the optionee/operator earn-in, financing of the project will be on a proportional basis.